Hops are climbing plants that need to be well supported. They can grow to be 20 feet tall. Despite being the second largest producer of hops in the country behind the Pacific Northwest, Michigan breweries are severely lacking in hops. With a booming craft beer industry, additional hops farms could be just what the brewer ordered for Michigan. 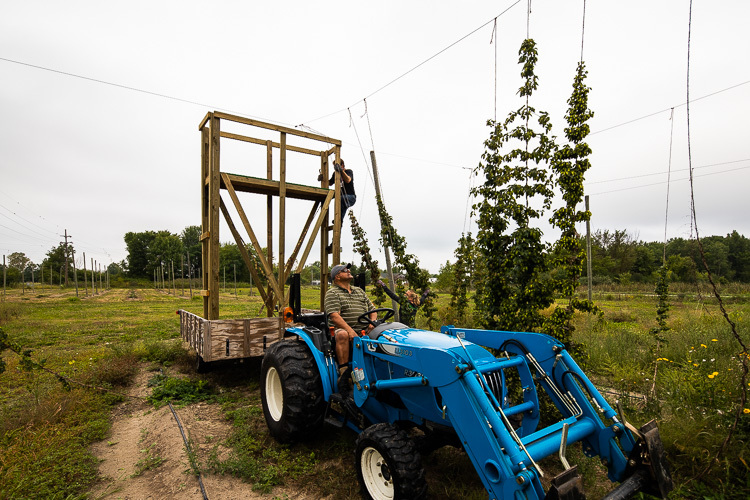 "Michigan breweries are growing every year," says Shannon Schwabe, co-owner of Hoppily Ever After Farms, one of the few St. Clair County may not offer the ideal growing environment for hops, but Hoppily After Ever Farms appears to be off to a good start. hop farms in the Blue Water region. "But there is not enough hops to support those breweries." 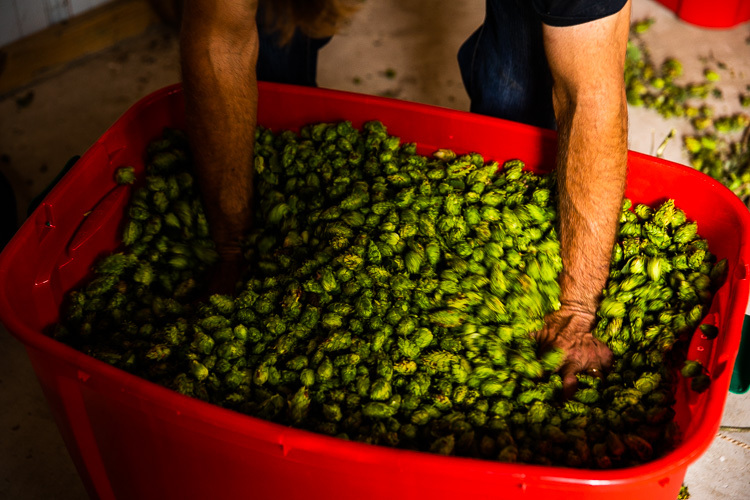 Most hops found in Michigan beers are grown in Washington, Oregon, and Idaho; but more and more Michigan hops are being added to craft beers. Behind those states, Michigan has the perfect climate to grow hops: four seasons, good soil conditions, and its location along the 45th parallel, which has also been a good location for wine production. That location also makes it perfect for growing a variety of hops, like Crystal, Chinook, Brewers Gold, and Galena. "We have a great climate for it," says Schwabe. "It's perfect." Schwabe and her husband, Scott, grow Cascade and Galena hops. Hops are the flowering tips of the hop plant Humulus lupulus used in beer to create a bittering, citrusy and aromatic flavor. Farming crops is a lot of hard workThere are about 45 farms in Michigan that currently grow hops, and over 320 breweries in the state. The Community Foundation of St. Clair County is hoping to add to the number of farms, with 27 acres available for commercial use, whether that is for hops, other grains for spirits--or even a beer garden, that can be split into subplots. "We are hoping to get the word out that there is farmland for commercial use, 27 acres in St. Clair County, available," says St. Clair Community Foundation Vice President Jackie Hanton. 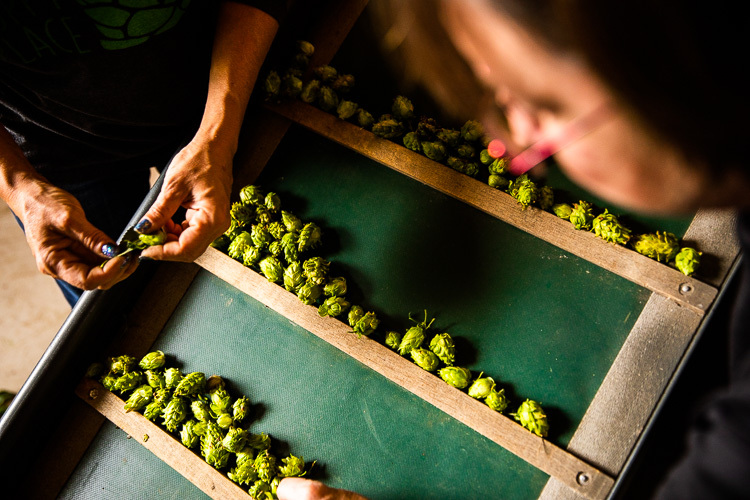 "We're not sure how that could work, but hops is one possibility." Those 27 acres are available in a variety of plot sizes, anywhere from one-half acre to three acres or more. Hanton says there are opportunities for many people to get involved. The property can even be leased. The property could support up to 10 hop farmers, she says. She stresses that right now, the foundation is researching the need for niche, craft agriculture. "How can we support craft or niche agriculture?" she says. "Do we have partners? What kind of equipment do we need?" 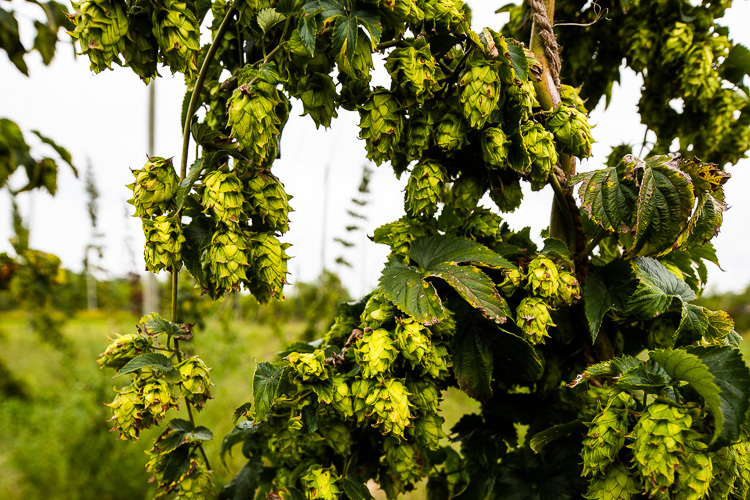 That equipment would require a trellis system, irrigation, and other barriers to entry in the hops growing business, such as a picking machine and processing facility. "Hops themselves are not difficult to grow," says Luke Marion, founder of MIgardener, a social media platform that helps anyone, anywhere grow better food and live a healthier life. "What makes it not as easy is how labor intensive it is." Marion explains that hops are actually a vine, but not like ivy, where it grows upwards and over buildings. 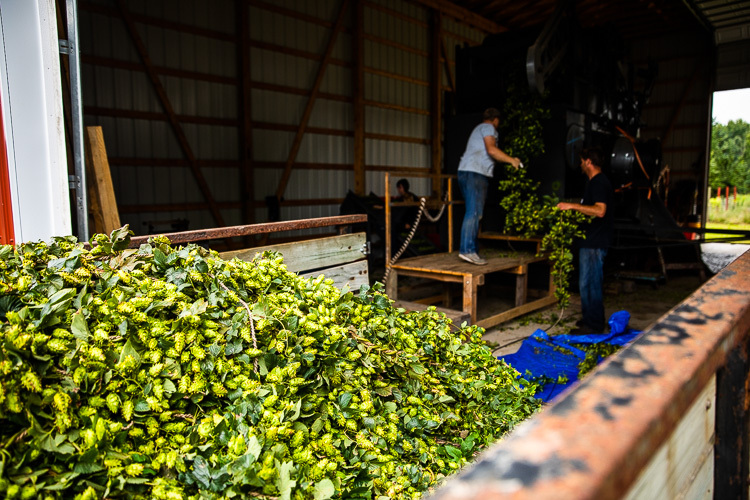 Hops need an Michigan's craft beer industry could benefit from more local hop crops. extensive support system because they can grow to 18-20 feet tall. "They need space," he says. "Once they get growing, they need extensive webbing and netting so you can grow them on top, and that allows for easy harvest." Marion also says that while Michigan, in general, is a great place for hops—and other crops such as peaches, corn, and cherries—to grow, that has been in the past limited to the west side of the state; where the soft, nutrient-rich soil basin is protected by Lake Michigan and allows for easy hops growing. "The east side of the state is not blessed with all that." He continues, "Hops need nitrogen, phosphorus and potassium to grow. Most land in St. Clair County is clay and lacks many nutrients. In the west, that part of the state is protected by Lake Michigan. In the east, there is no protection because winds blow from the west onto the cold hard land mass before Lake Huron." Along with the expensive start-up costs, and lack of processing facilities, it takes three to five years to produce a mature harvest. Hoppily Ever After Farms will see its first year of growth this season, when the harvest matures at the end of August and beginning of September. More local hops means Michigan breweries won't have to get their goods from the Pacific Northwest. "The first year, we had 50 pounds," says Schwabe. "The next year we had 500 pounds, and this year, we don't know exactly. We are anticipating double or triple that." For information on the Community Foundation land available, you can reach out to Hanton at jackie@stclairfoundation.org. "We want to flush out people who are on the cusp and maybe thinking about farming or opening that agriculture business," says Hanton. "People who are thinking maybe it's too expensive, or asking if the demand is here?" She says the foundation is still doing its research and hopes that the Port Huron region can get in on the opportunity to supply breweries with hops. "We want to expand the opportunity to the east side of the state," she says. "It's pretty quiet."